This Is Unit # 4 of an On-Demand Instant-Access Comprehensive 12-Unit Course That Includes Access To The Unit videos, Slides & Bonus Material Handouts. Managing the process of creating invitations and tracking RSVPs for nonprofit events can be daunting. What information should the invitation include? When should it be mailed? How do I track the RSVPs and turn them into guest lists? You can breathe a sigh of relief because help with your Save the Dates, invitation suites and guest management is here in this unit. This unit breaks down each component included in invitation suites, leads you through the process of working with graphic artists and printers, and lays out a simple system for turning RSVPs into guest lists and seating charts. 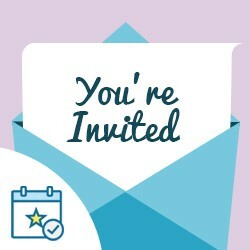 If your organization wants to create enticing invitation suites, and also streamline the process of guest management, this new CharityHowTo course is for you!